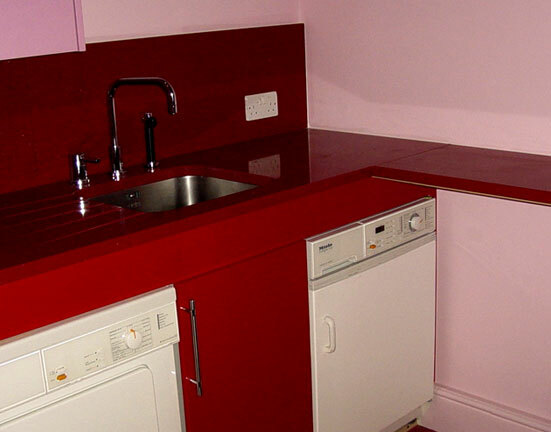 The utility room was fitted with raised, high-gloss finish cabinets, built to take full advantage of the room height. A bespoke stainless steel ladder and rail were made to enable easy access to these. The worktop was made with composite stone.